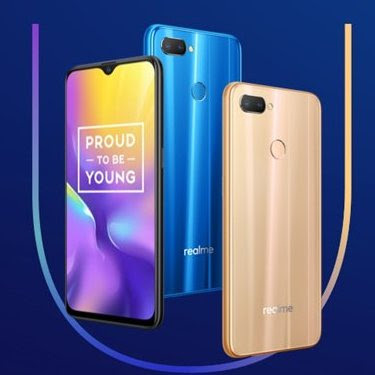 After Realme 2 Pro Now Realme has launched Realme U1 smartphone in its new U Series. Realme U1 comes with a 25MP front-facing camera, Also world's first phone powered by Helio P70 Processor. Realme U1 comes with a Plastic body like other Realme Phones which looks like Glass. It has a 6.3-inch (2350 x 1080 pixels) 19.5:9 Full HD+ IPS Dewdrop display with Corning Gorilla Glass 3 protection powered by Octa Core MediaTek Helio P70 12nm processor with 900MHz ARM Mali-G72 MP3 GPU which is overclocked Helio P60 which takes on Snapdragon 636 processor.